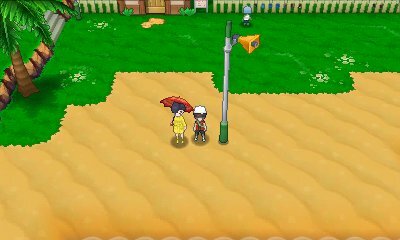 Following on from the example set in Pokémon X & & Y, there are a few instances of being able to change the music in a variety of places. 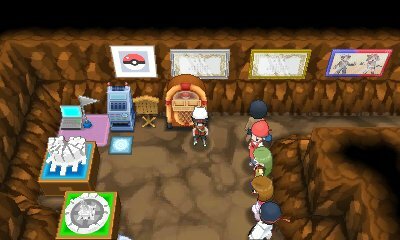 Once you get Silver Rank in your Secret Base, Aarune will give you the Juke Box decoration. When this decoration is placed, you have the ability to change the music that plays in your base. This music also will play when other people visit your base through QR Code, StreetPass or PassingBy so you can use it to personalise your base even further. There are seven pieces of music for you to choose. When you go to battle a friend, if you set the game up, you can also select Music. You start off with four pieces, but as you get further in the game, you unlock more pieces of music. These are unlocked when you have heard that piece of music in the game, typically through Legendary Pokémon encounters. This is also an option when you go in to Battle Spot. This can all be controlled by tapping the bottom screen as you prepare for the battle, with the PSS now featuring buttons to help you go forward or backward. You are also limited to four options when playing locally, but the unlocked options are available when you play online. If you play against players of Pokémon X & Y, it is locked in to playing the Pokémon X & Y Trainer Battle theme. 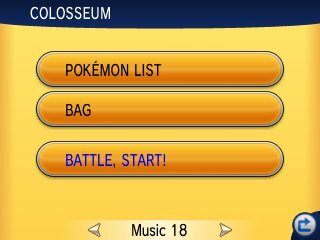 In the Battle Maison, you can also change the pieces of music to Music 1, 2, 3 or 4 before you go in to battle there.